For me, Sunday sets the tone of the week. From now on I’m going to find something to be grateful for each and every Sunday. If I can start my week off with gratitude, I should be able to be more joyful and content throughout the week. So, today I’m grateful for the wonderful scene outside of my front door. 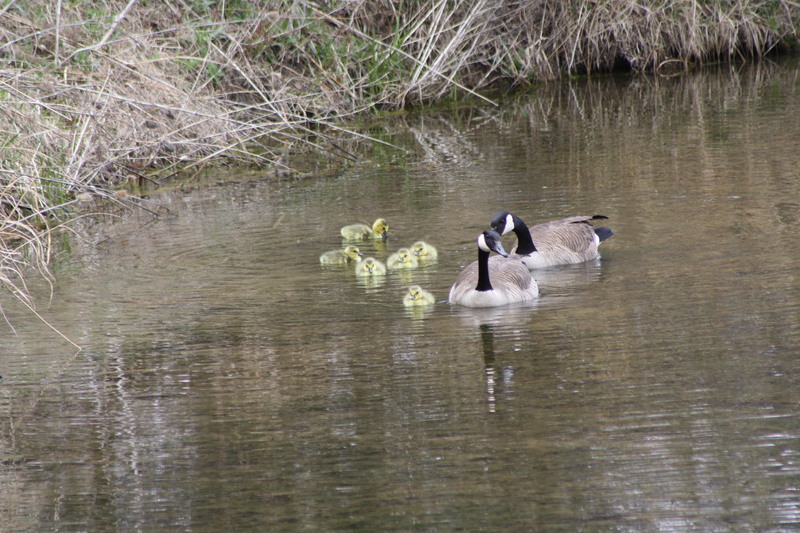 Each year we have a pair of Canadian geese nest on the small island in the center of our pond. We know Spring is on its way when they return. 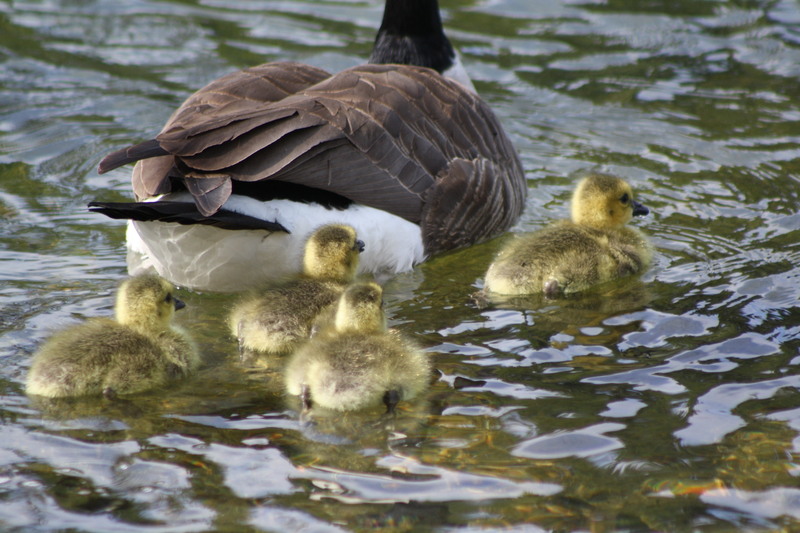 This year there are six goslings. It is a blessing to watch these birds. Each year the female faithfully sits on her nest for the required 24-28 days. She gets off very rarely and if she does, she is always within about 2 meters of her nest. The male is not usually in the pond but he is never far away. If something threatening comes in the area, he is back in an instant. When I try to get close, to take a picture, the geese start motioning to their babies and they all rally around and head out to the water. I just fascinates me. I watch them on and off all day. 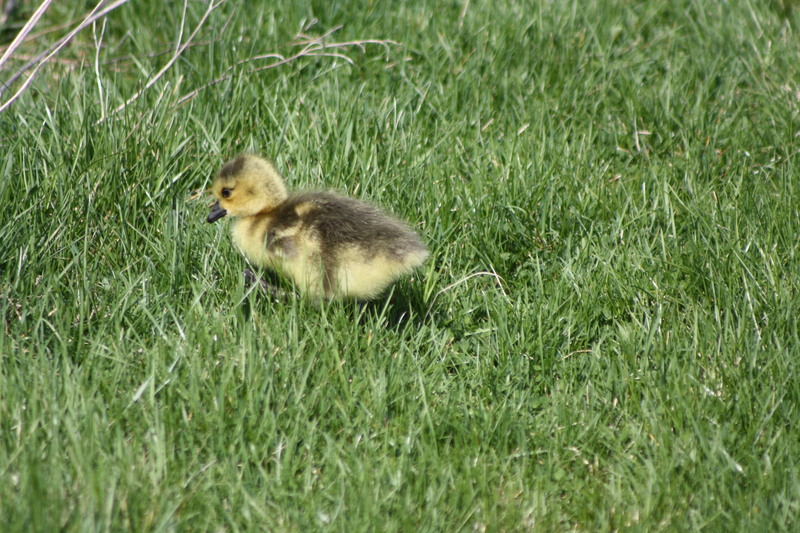 This past week they hatched and we have been watching in amazement as they so quickly grow. Each spring I learned to have a deep appreciation for these birds. God is so good! Watching out my window reminds me of how much He loves me and takes care of me. I really think that I can start this week off with a healthy dose of thankfulness.